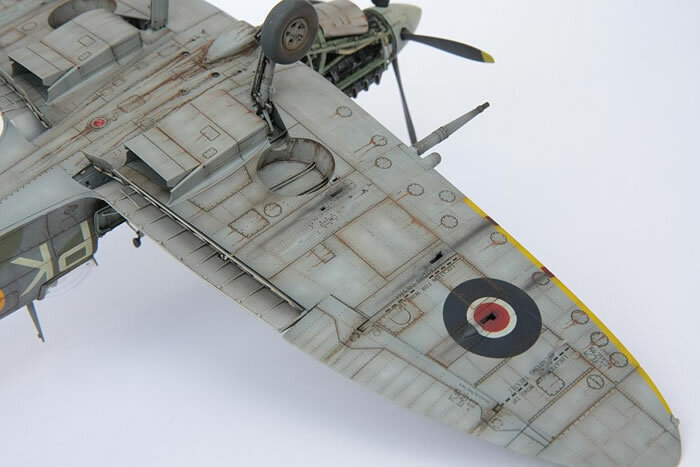 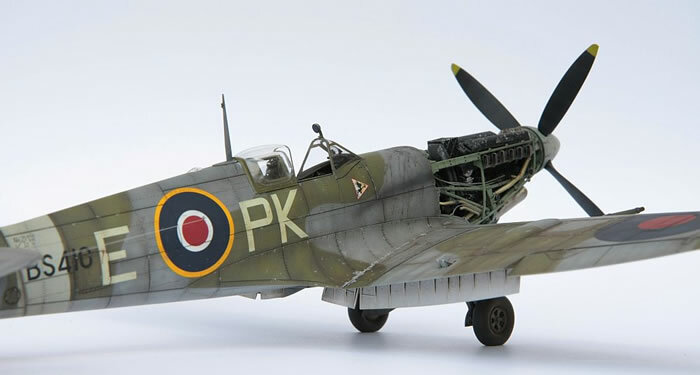 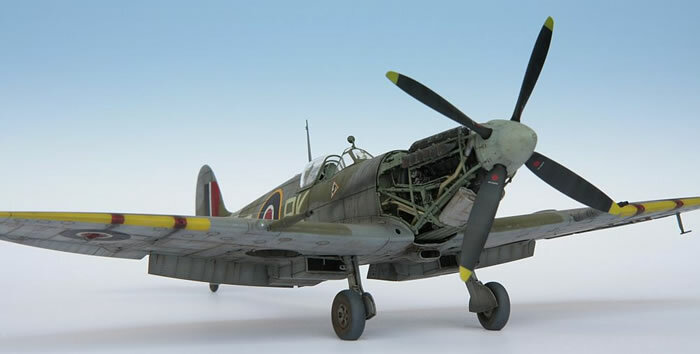 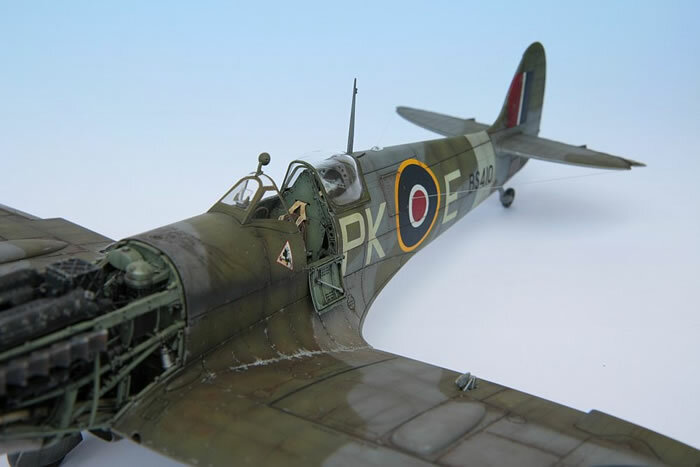 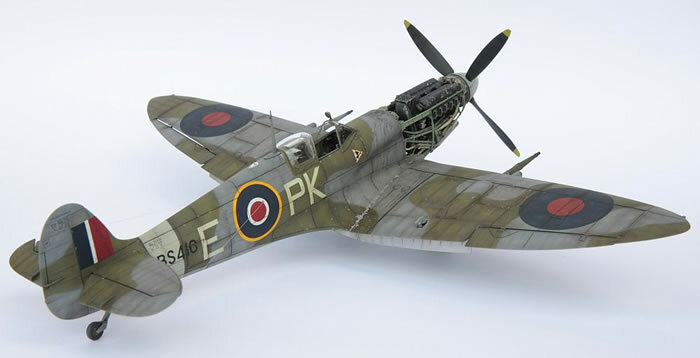 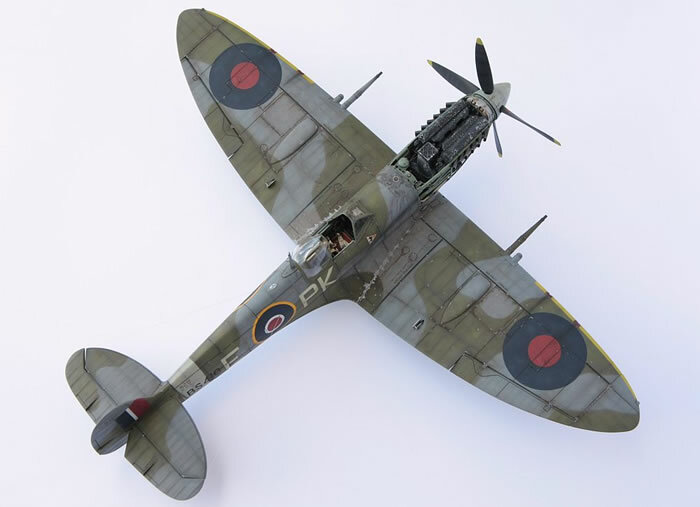 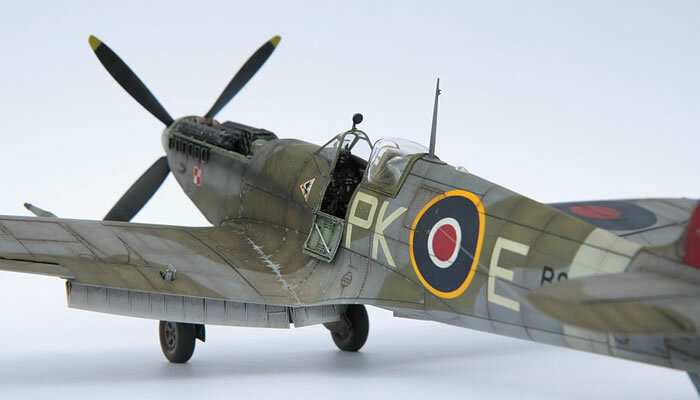 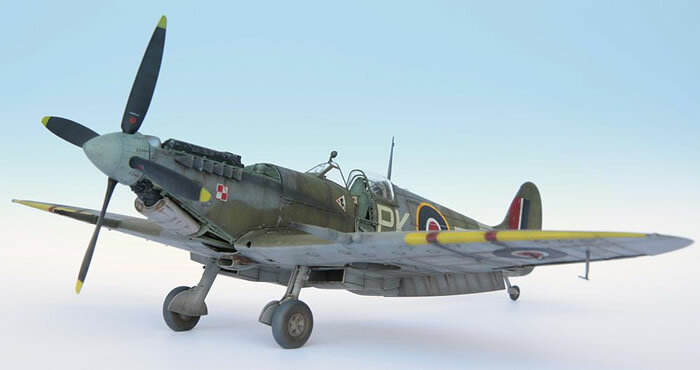 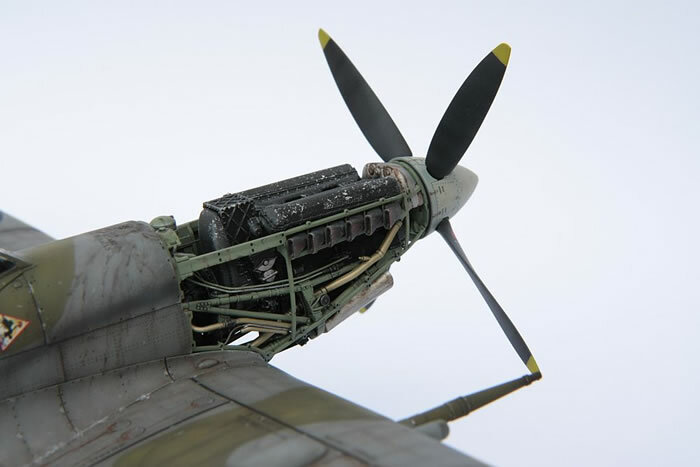 During his service with 315 Polish Squadron, Francis Stanley "Gabby" Gabreski (Franciszek Gabryszewski) flew a new Spitfire Mk.IXc, PK-E.
For built this model I used a few resin Barracuda sets, Montex insignia masks, HGW seatbelts and Aber metal gun barrels. 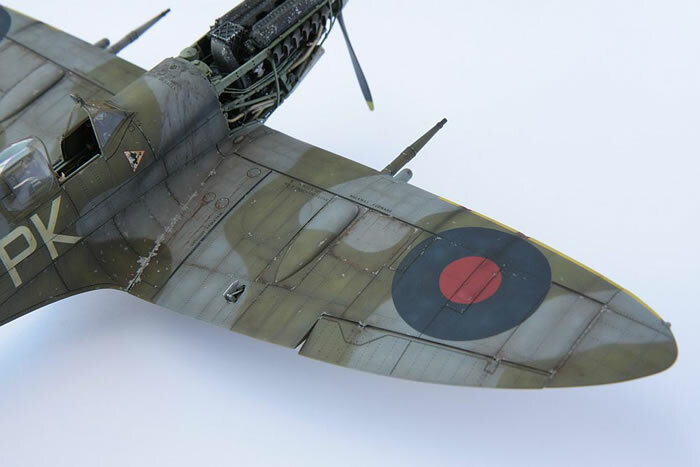 Markings for Gabby's plane came from the Victory Productions decal sheet. 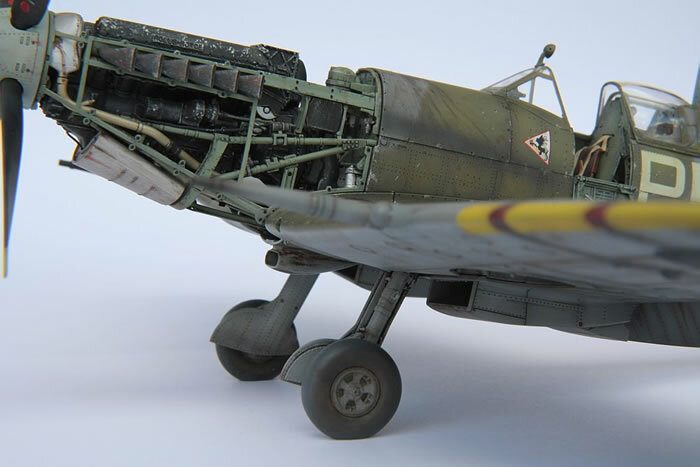 Like all my models, this one was painted with Gunze paints. 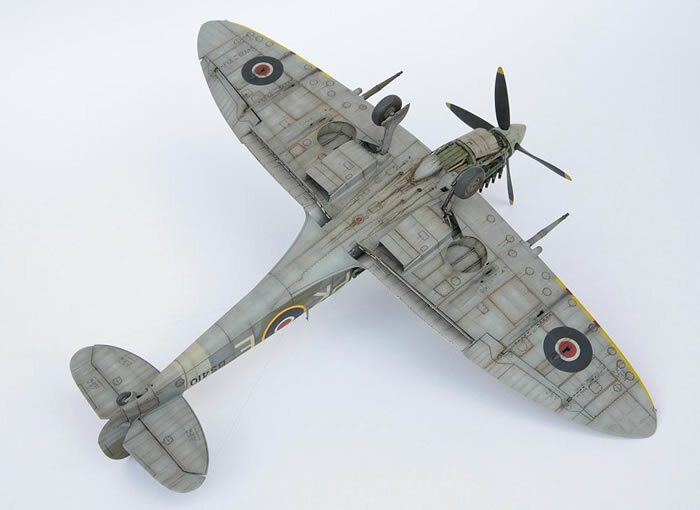 I finished my model as very "tired" looking with using wet salt technique, oil paints, washes and silver pencil.